Security updates have been issued by Debian (batik, cups, gitlab, ming, and xdg-utils), Fedora (dpdk, firefox, glibc, nodejs-deep-extend, strongswan, thunderbird, thunderbird-enigmail, wavpack, xdg-utils, and xen), Gentoo (ntp, rkhunter, and zsh), openSUSE (Chromium, GraphicsMagick, jasper, opencv, pdns, and wireshark), SUSE (jasper, java-1_7_1-ibm, krb5, libmodplug, and openstack-nova), and Ubuntu (thunderbird). Security updates have been issued by Arch Linux (lib32-curl, lib32-libcurl-compat, lib32-libcurl-gnutls, libcurl-compat, and libcurl-gnutls), CentOS (firefox), Debian (imagemagick), Fedora (exiv2, LibRaw, and love), Gentoo (chromium), Mageia (kernel, librelp, and miniupnpc), openSUSE (curl, enigmail, ghostscript, libvorbis, lilypond, and thunderbird), Red Hat (Red Hat OpenStack Platform director), and Ubuntu (firefox). Since the advent of the first truly mass-market videogames consoles, people have dreamed about removing the protection mechanisms that prevent users from tinkering with their machines. These modifications — which are software, hardware, or combination of the two — facilitate the running of third-party or “homebrew” code. On this front, a notable mention must go to XBMC (now known as Kodi) which ran on the original Xbox after its copy protection mechanisms had been removed. However, these same modifications regularly open the door to mass-market piracy too, with mod-chips (hardware devices) or soft-mods (software solutions) opening up machines so that consumers can run games obtained from the Internet or elsewhere. For the Nintendo Switch, that prospect edged closer at the end of December when Wololo reported that hackers Plutoo, Derrek, and Naehrwert had given a long presentation (video) at the 34C3 hacking conference in Germany, revealing their kernel hack for the Nintendo Switch. While this in itself is an exciting development, fresh news from a veteran hacking group suggests that Nintendo could be in big trouble on the piracy front in the not-too-distant future. “In the light of a recent presentation at the Chaos Communication Congress in Germany we’ve decided to come out of the woodwork and tease you all a bit with our latest upcoming product,” the legendary Team-Xecutor just announced. 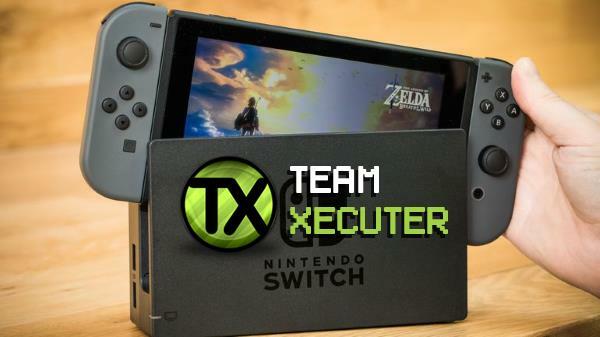 While the hack announced in December requires Switch firmware 3.0 (and a copy of Pokken Tournament DX), Team-Xecutor say that their product will be universal, something which tends to suggest a fundamental flaw in the Switch system. 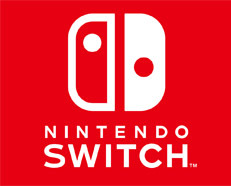 “This solution will work on ANY Nintendo Switch console regardless of the currently installed firmware, and will be completely future proof,” the team explain. Xecutor say that their solution opens up the possibility of custom firmware (CFW) on Nintendo’s console. In layman’s terms, this means that those with the technical ability will be able to dictate, at least to a point, how the console functions. “We want to move the community forward and provide a persistent, stable and fast method of running your own code and custom firmware patches on Nintendo’s latest flagship product. And we think we’ve succeeded!” the team add. The console-modding community thrives on rumors, with various parties claiming to have made progress here and there, on this console and that, so it’s natural for people to greet this kind of announcement with a degree of skepticism. That being said, Team-Xecutor is no regular group. With a long history of console-based meddling, Team-Xecutor’s efforts include hardware solutions for the original Playstation and Playstation 2, an array of hacks for the original Xbox (Enigmah and various Xecuter-branded solutions), plus close involvement in prominent Xbox360 mods. Their pedigree is definitely not up for debate. For now, the team isn’t releasing any more details on the nature of the hack but they have revealed when the public can expect to get their hands on it. “Spring 2018 or there around,” they conclude. Security updates have been issued by Debian (asterisk, gimp, thunderbird, and wireshark), Fedora (global, python-mistune, and thunderbird-enigmail), Mageia (apache, bind, emacs, ffmpeg, freerdp, gdk-pixbuf2.0, gstreamer0.10-plugins-bad/gstreamer1.0-plugins-bad, gstreamer0.10-plugins-ugly, gstreamer0.10-plugins-ugly/gstreamer1.0-plugins-ugly, gstreamer1.0-plugins-bad, heimdal, icu, ipsec-tools, jasper, kdebase4-runtime, ldns, libvirt, mupdf, ncurses, openjpeg2, openssh, python/python3, ruby, ruby-RubyGems, shotwell, thunderbird, webkit2, and X11 client libraries), openSUSE (gdk-pixbuf and phpMyAdmin), and SUSE (java-1_7_1-ibm). Security updates have been issued by Debian (enigmail, gimp, irssi, kernel, rsync, ruby1.8, and ruby1.9.1), Fedora (json-c and kernel), Mageia (libraw and transfig), openSUSE (enigmail, evince, ImageMagick, postgresql96, python-PyJWT, and thunderbird), Slackware (mozilla), and SUSE (evince). Security updates have been issued by Debian (bouncycastle, enigmail, and sensible-utils), Fedora (kernel), Mageia (dhcp, flash-player-plugin, glibc, graphicsmagick, java-1.8.0-openjdk, kernel, kernel-linus, kernel-tmb, mariadb, pcre, rootcerts, rsync, shadow-utils, and xrdp), and SUSE (java-1_8_0-ibm and kernel). 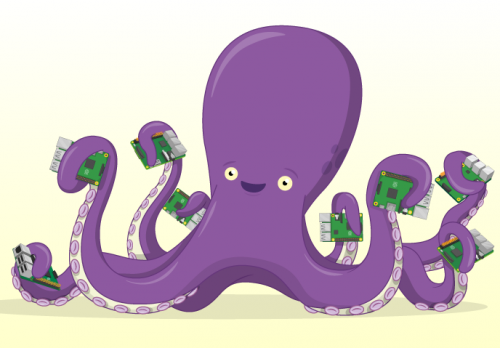 Back in July, we collaborated with GCHQ to bring you two fantastic free resources: the first showed you how to build an OctaPi, a Raspberry Pi cluster computer. The second showed you how to use the cluster to learn about public key cryptography. Since then, we and GCHQ have been hard at work, and now we’re presenting two more exciting projects to make with your OctaPi! These new free resources are at the Maker level of the Raspberry Pi Foundation Digital Making Curriculum — they are intended for learners with a fair amount of experience, introducing them to some intriguing new concepts. Whilst both resources make use of the OctaPi in their final steps, you can work through the majority of the projects on any computer running Python 3. 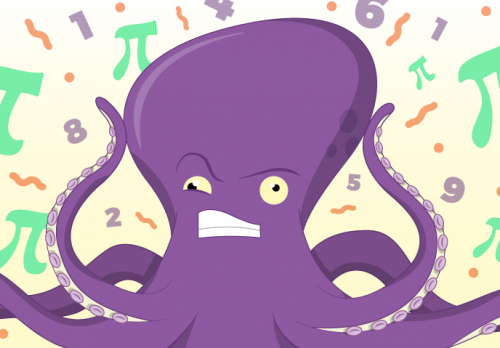 Calculating Pi teaches you two ways of calculating the value of Pi with varying accuracy. Along the way, you’ll also learn how computers store numbers with a fractional part, why your computer can limit how accurate your calculation of Pi is, and how to distribute the calculation across the OctaPi cluster. Decrypt the message before time runs out! Brute-force Enigma sends you back in time to take up the position of a WWII Enigma operator. Learn how to encrypt and decrypt messages using an Enigma machine simulated entirely in Python. Then switch roles and become a Bletchley Park code breaker — except this time, you’ve got a cluster computer on your side! 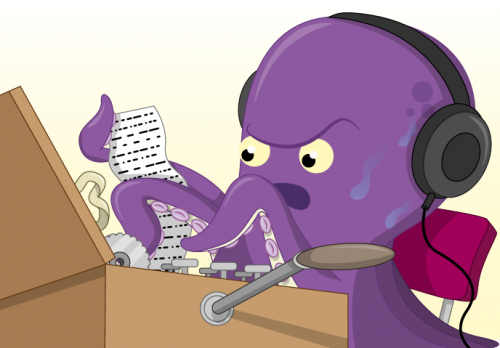 You will use the OctaPi to launch a brute-force crypt attack on an Enigma-encrypted message, and you’ll gain an appreciation of just how difficult this decryption task was without computers. GCHQ has kindly sent us a fully assembled, very pretty OctaPi of our own to play with at Pi Towers — it even has eight snazzy Unicorn HATs which let you display light patterns and visualize simulations! Visitors of the Raspberry Jam at Pi Towers can have a go at running their own programs on the OctaPi, while we’ll be using it to continue to curate more free resources for you. The post Decrypt messages and calculate Pi: new OctaPi projects appeared first on Raspberry Pi. Security updates have been issued by Debian (enigmail, gnupg, libgd2, libidn, libidn2-0, mercurial, and strongswan), Fedora (gd, libidn2, mbedtls, mingw-openjpeg2, openjpeg2, and xen), Mageia (apache-commons-email, botan, iceape, poppler, rt/perl-Encode, samba, and wireshark), and openSUSE (expat, freerdp, git, libzypp, and php7). For hard drive prices, the race to zero is over: nobody won. For the past 35+ years or so, hard drives prices have dropped, from around $500,000 per gigabyte in 1981 to less than $0.03 per gigabyte today. This includes the period of the Thailand drive crisis in 2012 that spiked hard drive prices. Matthew Komorowski has done an admirable job of documenting the hard drive price curve through March 2014 and we’d like to fill in the blanks with our own drive purchase data to complete the picture. As you’ll see, the hard drive pricing curve has flattened out. 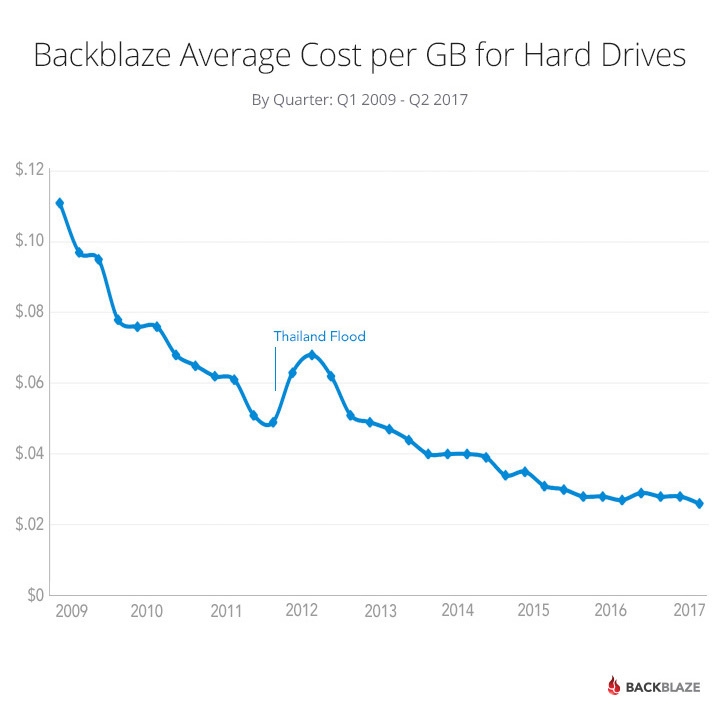 We first looked at the cost per gigabyte of a hard drive in 2013 when we examined the effects of the Thailand Drive crisis on our business. When we wrote that post, the cost per gigabyte for a 4 TB hard drive was about $0.04 per gigabyte. Since then 5-, 6-, 8- and recently 10 TB hard drives have been introduced and during that period we have purchased nearly 75,000 drives. Below is a chart by drive size of the drives we purchased since that last report in 2013. 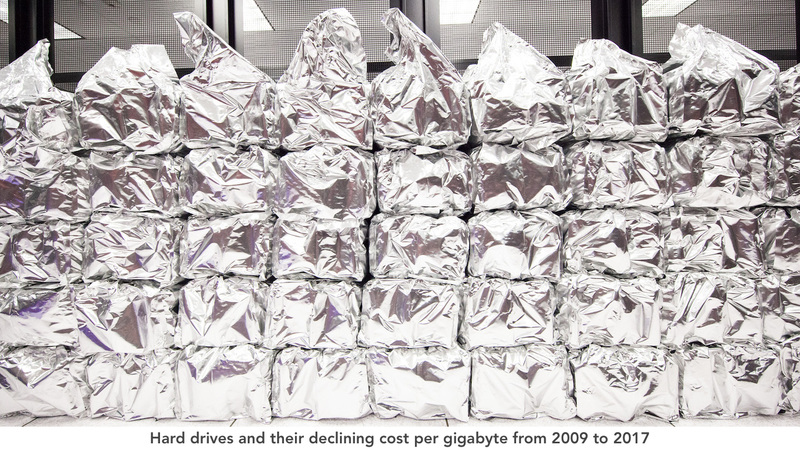 We purchase drives in bulk, thousands at a time. The price you might get at Costco or BestBuy, or on Amazon will most likely be higher. The effect of the Thailand Drive crisis is clearly seen from October 2011 through mid-2013. Up through the 4 TB drive models, the cost per gigabyte of a larger sized drive always became less than the smaller sized drives. In other words, the cost per gigabyte of a 2 TB drive was less than that of a 1 TB drive resulting in higher density at a lower cost per gigabyte. This changed with the introduction of 6- and 8 TB drives, especially as it relates to the 4 TB drives. As you can see in the chart above, the cost per gigabyte of the 6 TB drives did not fall below that of the 4 TB drives. You can also observe that the 8 TB drives are just approaching the cost per gigabyte of the 4 TB drives. The 4 TB drives are the price king as seen in the chart below of the current cost of Seagate consumer drives by size. The data on this chart was sourced from the current price of these drives on Amazon. The drive models selected were “consumer” drives, like those we typically use in our data centers. The manufacturing and marketing efficiencies that drive the pricing of hard drives seems to have changed over time. For example, the 6 TB drives have been in the market at least 3 years, but are not even close to the cost per gigabyte of the 4 TB drives. Meanwhile, back in 2011, the 3 TB drives models fell below the cost per gigabyte of the 2 TB drives they “replaced” within a few months. Have we as consumers decided that 4 TB drives are “big enough” for our needs and we are not demanding (by purchasing) larger sized drives in the quantities needed to push down the unit cost? The important aspect is the trend of the cost over time. While it has continued to move downward, the rate of change has slowed dramatically as observed in the chart below which represents our average quarterly cost per gigabyte over time. The change in the rate of the cost per gigabyte of a hard drive is declining. For example, from January 2009 to January 2011, our average cost for a hard drive decreased 45% from $0.11 to $0.06 – $0.05 per gigabyte. From January 2015 to January 2017, the average cost decreased 26% from $0.038 to $0.028 – just $0.01 per gigabyte. This means that the declining price of storage will become less relevant in driving the cost of providing storage. Back in 2011, IDC predicted that the overall data will grow by 50 times by 2020, and in 2014, EMC estimated that by 2020, we will be creating 44 trillion gigabytes of data annually. That’s quite a challenge for the storage industry especially as the cost per gigabyte curve for hard drives is flattening out. Improvements in existing storage technologies (Helium, HAMR) along with future technologies (Quantum Storage, DNA), are on the way – we can’t wait. Of course we’d like these new storage devices to be 50% less expensive per gigabyte then today’s hard drives. That would be a good start. 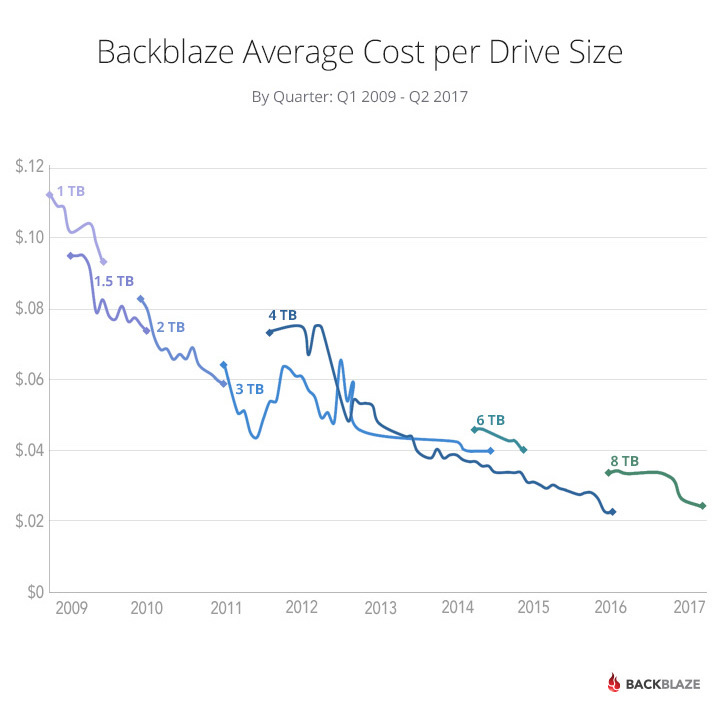 The post Hard Drive Cost Per Gigabyte appeared first on Backblaze Blog | Cloud Storage & Cloud Backup.